"There are more things in heaven and earth, Horatio, / Than are dreamt of in your philosophy." Indeed — starting with the My Little Pony universe's "Friendship is Magic" show. Who would have thought of a children's TV series featuring "Five Elements of Friendship" — honesty, kindness, laughter, generosity, and loyalty — that combine into a sixth Element, "magic", each one personified by a pastel horse? 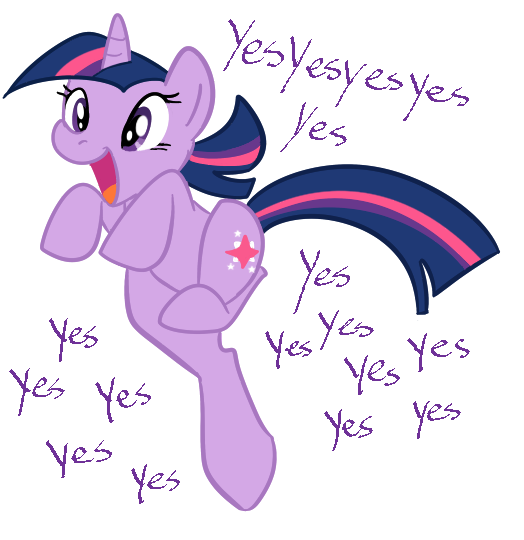 And the primary character, "Twilight Sparkle", here drawn featuring the "Yes, and... mantra? Such a marvelous world we live in!